Jennifer Britton, MES, CHRP, CPT, PCC is the author of Effective Group Coaching (Wiley, 2010) and From One to Many: Best Practices for Team and Group Coaching (Jossey-Bass, 2013). An expert in the area of group coaching and team development and a performance improvement specialist, she founded her company, Potentials Realized, in 2004. Since early 2006, her Group Coaching Essentials teleseminar program, and ICF CCE approved program, has supported hundreds of coaches in the creation and implementation of their own group coaching practice. An award-winning program designer, Jennifer is dedicated to supporting groups, teams and organizations in the areas of leadership, teamwork and performance. She is the recipient of the Prism Award for Excellence in Coaching for her support to the Scarborough Hospital (ICF Toronto, 2016) and the 2017 Award of Excellence – Curriculum Design (i4PL) for Coaching and Mentoring: Partnering for Performance and Growth a project with the Scarborough and Rouge Hospitals focusing on coaching skills training, mentoring and the development of a coaching culture. She draws on almost three decades of experience as an experiential educator and former manager with the United Nations and other humanitarian organizations, with a global client list that spans government, corporate and non-profit sectors, from financial services to education and healthcare. Jennifer is considered a thought leader in the field of coaching groups and teams. Her first book, Effective Group Coaching (Wiley, 2010), was the first to be published on the topic globally, and has been well received by coaches all over the world and is used as a text and/or recommended resource for many coach training programs. She also speaks internationally to groups on topics related to coaching, leadership, teamwork, virtual learning, and capacity building. Her second book, From One to Many: Best Practices for Team and Group Coaching (Jossey-Bass, 2013) has also been widely embraced by the coaching community. Her most recent book, Effective Virtual Conversations, has found it’s way into the hands of multiple global learning teams from sales, to consumer packaged goods, to the public sector. 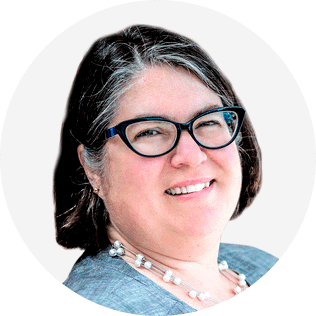 Jennifer has supported a wide range of clients through coaching, training and speaking services including the Ontario Provincial Police, agencies of the UN, the Canada Public Sector School, multiple banks and hospitals, as well as many different business schools. Jennifer divides her time between just north of Toronto in East Gwillimbury, Ontario, and beautiful Muskoka, where she enjoys her next passion – the outdoors. If you join her programs in the summer, chances are, you’ll join her lakeside. From zoom, to WebEx, to Skype, increasingly, our clients and ourselves are exploring the power and reach of virtual conversations. Unfortunately, many are jaded by inefficient conference calls, and tech issues which have led the notion that virtual calls need to be a “one way” download of too much information! It doesn’t have to be this way. In fact, virtual calls today can feel as if we are all in the same room, imbued by similar trust and connection. Join Effective Virtual Conversations author, Jennifer Britton, for this WBECS pre-summit session where we will explore several key ingredients for creating a more engaging virtual conversation – whether you are leading a virtual team or group coaching session, or you are looking to launch your first webinar. During the session we will also explore two essential techniques for making your session more engaging and participant-centered. Finally, we’ll explore a series of questions to consider when setting people up for success virtually (yourself included!). Incorporating more virtual conversations supports scale of business and expanding your reach – two related topics I’ll be exploring in my Full WBECS session “Expanding Your Reach – Team and Group Coaching”. Group and Team Coaching are powerful approaches for expanding your reach as a coach. While more coaches are incorporating these practices into their work, what is the difference between group and team coaching? How are they related? How are they different? What are some of the factors which will set groups and teams up for success with coaching? We’ll also explore some of the factors to consider when thinking about pitfalls for group and team coaching and what might get in the way. Group and team coaching is taking many different forms – virtual, in-person, corporate and public. During our time together, we’ll explore some of the critical success factors for these different modalities. From 90 day virtual groups for business owners, to corporate groups supporting new managers, to intact, and embedded team coaching sessions, design with your clients is essential. Finally, coaches will have an opportunity to lock in their learning through a hands-on practice you might include in your own work with teams and groups.